I do intend to add new features though, so it will take some time. Though I may have Julius release a beta version on top of 1.15 for y’all to play around with. Lemme know if there are any features you want. @KareemAlgalaly any plan for adding LOD’s. It realy helps in large scale scenes. What I’ve seen is that meshes themselves don’t matter as much as the materials, but those parameters are already exposed. Perhaps an LOD that may work would break scenes by distance from camera into the low, med, high materials, and reduce density in the background. This would increase memory usage, though it might reduce render-times. Or do you know of another way/have another idea? I’m not too familiar with what LOD systems are typically in place. And also, mesh-LOD didn’t—in my tests—make much of a difference. I just started using UE4. Scattering whole 5km x 5km terrain with dense trees doesn’t effect viewport performance or rendering. I dont know how they do it. I have used Vue too. In Vue, It estimates the number of instances that needs to be scattered and its memory requirement. If it exceeds our available system memory, it alerts us and suggests us to use Dynamic EcoSystem(The Ecosystem will b automatically populated at render time ) . Vue also uses Billboards to display and full quality mesh at specified distance from camera. So I’ve been doing some tests with LODs, and they all increase memory, though the render time savings in some cases are pretty good. One of these methods is compatible with animations, so I’ll be exploring that. Instancing models instead of using a particle system saves a couple seconds, but multiplied memory significantly. Doubling number of particles barely nudges memory, but it doubles memory when using instances. The difference between two systems on two objects that sum to another, vs two equivalent systems on one object where the separation is entirely by vertex paints, is that the first is faster with less memory, but the second may be more convenient/easy to update. Using lower detail materials in BG can save a significant amount of render-time, while slightly increasing memory. I will try mesh LODs later today. For bigger areas maybe you have to use bigger grass patches (50cm wide or more for each patch) I didn’t test grasswald yet because it seems only adapted to close-up but I know that other solutions in other sofware usually use bigger patches for bigger terrain covering. This would mean less particles or instances for the same amount of final geometry. bpy.context.user_preferences was recently renamed to bpy.context.preferences, in 2.80. Which may be causing the issue. I think this can be solved for now if you simply close blender after installing without saving anything or enabling anything and then open blender again. After that, it should work fine (at least for me it did). We had the same error over in the other thread, this is what (for now) solved it for me. This is great. Quick question, about hat sort of system are you using? I’m doing a test of animating the age of the grass to see if I can simulate a kind of season change and a single frame on low poly mode, 100 distribution, and 500 samples at 720p is taking around 15 minutes. I’m rendering on an NVIDIA 1070 Gtx. Any tips for speeding up renders? Also, I’ll second what the guys above are requesting. Some sort of large scale setup would be great. A kind of built in ‘distance from camera’ detection that picks which model to use automatically would be a lethal addition. What are mesh LOD’s? Just curious as larger scale systems are also something I’m interested in. Number one tip for speeding renders is switching from high to medium material. Unless it’s a close-up you can’t tell a difference, and it saves a decent amount of time. Lower resolution meshes for plants father from camera. I haven’t found these to actually help with Graswald render-times though. Anyone have any idea why? I also found that the materials for “Generic Grassblades - Green” and “Wall Barley - Big” aren’t working correctly for the high res models. I’ll post any more bugs I find as I make my tests. 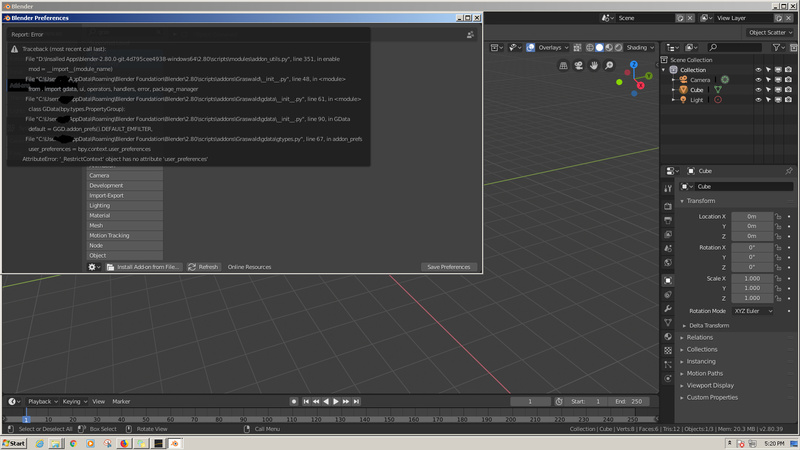 Edit: Blender 2.79b and Graswald 1.15, bought from the Blendermarket. did they modify the API even after they said they will not do it after the beta release ? Yes they did, I have a fix, will get Julius upload it later. Probably tomorrow. Did you test it with a decimate modifier turned on or did you actually applied the modifier? And how strong was decimation? I’m not sure but maybe the modifier still stores the original information and therefore, the optimization is only limited? I don’t think I ever applied the modifier. I’ll definitely try applying it.